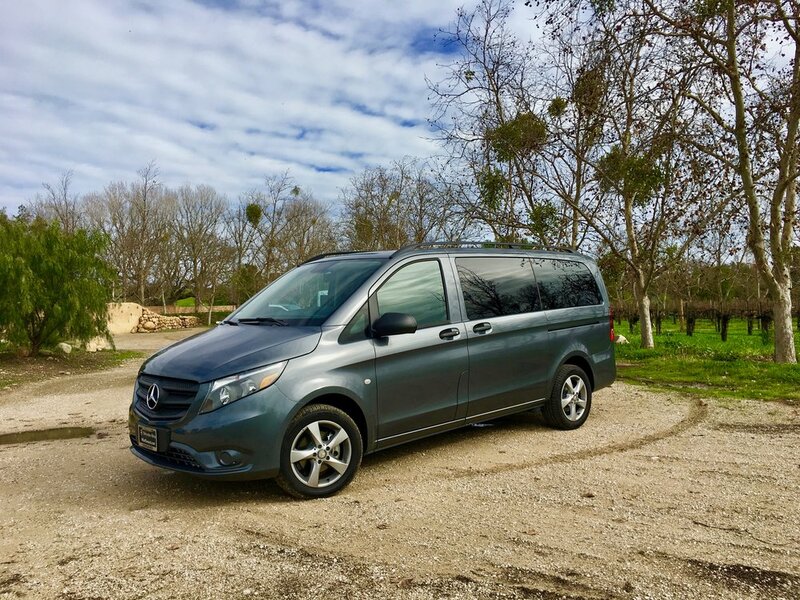 Travel in comfort in our 2016 or 2018 Mercedes Benz Sprinter or 2016 Mercedes Benz Metris van, also known as the "Baby Sprinter". Our Sprinter vans can hold eleven guests in each van. Although smaller in size, the Metris can seat up to seven guests. The Metris has sliding doors on both sides to make it easier to get in and out of the vehicle. Because we keep our groups small and intimate, we are not only able to provide a better experience at the wineries, but also while traveling between them. In addition, both the Sprinter and the Metris vans are equipped with leather seats, high capacity air conditioning, navigation, and the active safety plus features Mercedes Benz is known for to ensure your day is not only comfortable but safe as well. Our combined fleet of two Sprinter vans and one Metris van allows us to host a single group of twenty nine people between the three vans. We will only do this on our private tours or corporate events. On our group tours, we always use one Sprinter or Metris van to keep the individual group size small with eleven or less people.